It has been quite a task to compile the directory. We have included all the aircraft types we could find. There are many small companies out there though, and we have certainly missed some. If you would like an addition to the list, please email us on flying@pilotfriend.com with the necessary information. Those building experimental aircraft kits are often small and tend to appear and re-appear under a different name as often as a 'will o the wisp'. For this reason we have not included contact details on the specification pages. We have included a separate page although some links will be already out of date. We have generally listed the aircraft under its name rather than that of the manufacturer, which might change periodically. The aircraft are listed alphabetically so just click on the menu to view. We have deliberately omitted some aircraft as they did not include specifications and performance data on their websites. In some cases, the manufacturer urged us to buy an information pack just to obtain this information. We found this quite unacceptable, as the purchase of an aircraft and the time we spend to build it is a major commitment, and we must then trust the design with our lives. Some of the manufacturers' sites were quite irritating and were mixed up with endless advertising pop-ups. These we also left out, feeling that if the product did not warrant a proper website, then it is unlikely that the aircraft is worth flying! Some websites are very sophisticated but the real meat is very thin on the bone! Any company unable to offer full specifications and performance data has not properly tested and developed the aircraft. The information gathered here is from the official websites. Be your own judge on the quality of the information gathered. Caveat Emptor! We cannot be held responsible for the information presented. In some cases, it is more than possible that the performance data is somewhat optimistic! New ready-built aircraft that while being officially microlights but are really sophisticated cruising aircraft are also included. Is your partner committed to the investment in time and money to build an aircraft? In nearly every case, it will take at least twice as long as the manufacturer suggests. What is your mission? Do you wish to do aeros, just fly the patch, visit private airfields, go places fast; how many people do you really want to carry? Many aircraft, for instance will take you a long way fast, but need a long smooth runway. There are 'horses for courses'. Do you have a place to build and hangar your aircraft? Most homebuilts hate being left outside. Are your flying skills up to operating an experimental aircraft? Certified planes have to comply with very strict performance requirements. This is not the case with homebuilts...things can happen very fast! Consider taking additional training to bring you up to speed. Choosing a homebuilt is as difficult as choosing a partner. Take your time and give it 'due diligence'. 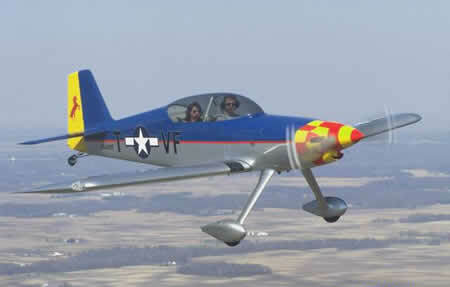 what are experimental / homebuild aircraft? Amateur-Built (also known as homebuilt or custom built) aircraft are built by individuals and licensed by the country's civil aviation authority as “Experimental.” The Experimental designation has been in existence for more than five decades. It defines aircraft that are used for non-commercial, recreational purposes such as education or personal use. In general, if individuals build at least 51 percent of an aircraft, it can be registered in the Amateur-Built/Homebuilt Category. They are available in kits (where some of the airplane is already fabricated), or plans (where the builder manufactures all the parts and assembles them). These airplanes are also commonly known as “homebuilts.” Currently, more than 23,000 amateur-built/homebuilt aircraft are licensed in the USA alone. They represent proven aircraft designs that have been flown safely for many years. why to people build aircraft? All Amateur-Built/Homebuilt airplanes must be registered with the civil aviation licensing authority. These airplanes must be inspected by Designated Inspector before an Airworthiness Certificate can be issued. This is a fairly rigorous process. The builder(s) must provide logs of when, where and how construction took place, along with supporting documents and photographs. If the aircraft passes this inspection, a pilot must fly a series of test flights in specific non-populated areas to make sure all components are operating properly. Only after that test time is flown may passengers be flown in the aircraft. does a person have to be a licensed pilot to fly these aircraft? how safe are amateur built aircraft? Studies by FAA and the National Transportation Safety Board (NTSB) show that Amateur-Built/Homebuilt aircraft have an accident rate less than one percentage point higher than the general aviation fleet. In fact, the accident rate for Amateur-Built/homebuilt aircraft is dropping. The total number of registered homebuilt aircraft is increasing by about 1,000 per year in the USA, while the total number of accidents has stayed virtually the same. Another good barometer of safety is insurance rates. Companies that insure both homebuilts and production aircraft charge about the same rates for owners of either type of airplane. That indicates a similar level of risk.